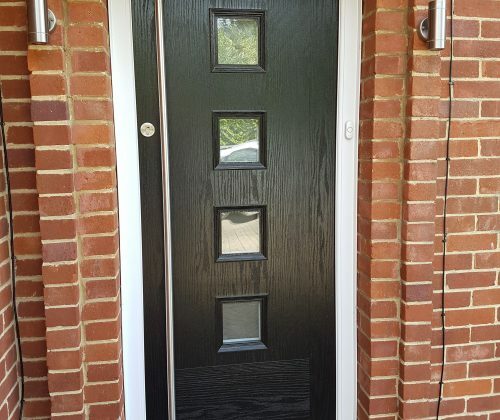 Composite front and rear doors are a great alternative to expensive timber doors, offering the same pleasing aesthetics with the security and modern features of a UPVc front door. Available in many different styles and 24 colours, which allow you to be creative and choose a style that suits you and your property. 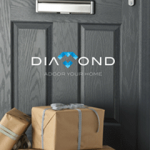 Our composite door range is available in any colour that you can imagine as any colour can be matched, giving you even more choice for the perfect entrance to your home. View our RAL colour chart. Our composite doors are single rebated, but we also offer double rebated doors, which offers extra draught protection and insulation. Our doors are available with triple glazed units and are A energy rated. Use the button below and have a go at building your own ideal door. This will send us your design and we will send back a free quotation – if this is of interest to you, why not book an appointment to see one of our team and discuss this in even more detail. 24 standard composite doors colours, all woodgrained for a realistic timber effect. We also offer sprayed doors in any RAL colour. Below is just a few of the more popular colours. Our composite door range offers maximum security, using strong robust materials such as steel and GRP. The doors are fully reinforced with multi-point locking, conforming to PAS 23 & PAS 24 (enhanced security performance). We are now offering the most secure locking system available. Plus the new GU slum shut door lock & Kite marked cylinder, as featured on the BBC. The cylinders are anti-pick, anti-snap and anti-bump. Or check out the new keyfree video. ‘Secure by Design’ features are available upon request. 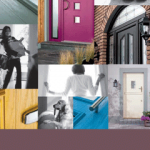 Osborn Glass’ composite doors are available as double or triple glazed, each choice offers great energy efficiency. For glass designs we offer fused tiles, bevels, coloured film and sandblast effects. View our glass and glazing page for details. Security – A doors first feature has to be it’s security, with various locks and cylinders available to meet with PAS24 or Secure By design this door is top it’s class. Insulation – many replace their doors because they are drafty and the hallway is often a cold spot in the property. With single or twin rebates available we have the perfect solution. Looks – The entrance to your property is an expression of your self. The design & colour choice is endless with a huge array of glass options. 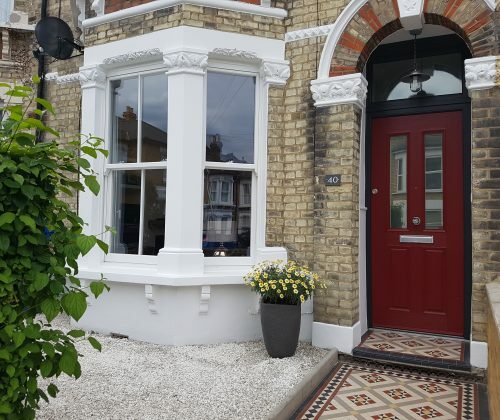 Popular at present – London properties are having Sandblasted house numbers and pinstripes or boarders taking the doors designs back to an original look. Durability – With 10 year insurance backed guarantees, these doors offer piece of mind for years to come. Maintenance – with just a clean an a oil twice a year these doors are virtually maintenance free. Access- A door that the whole family can use, with automatic or manual locks mum, dad, son or daughter will not have any trouble entering the property after a hard day at work or school. Threshold – The base of the door is design to minimize the trip hazard when leaving or entering your home. Four thresholds are available which also caters for wheel-chair access. Furniture – Choose from the Apeer collection or Osborn can offer bespoke furniture like door knockers and pulls all in a range of colours. Contact the office to discuss any of the above in more detail or let us know your requirements for a composite front door. hope to hear from you soon.